K01 is an executive chair that wants to somehow represent a standard within the executive chair world, with robust and simple lines. Industrial constraints and production process´ limits were highly taken into account in its development. 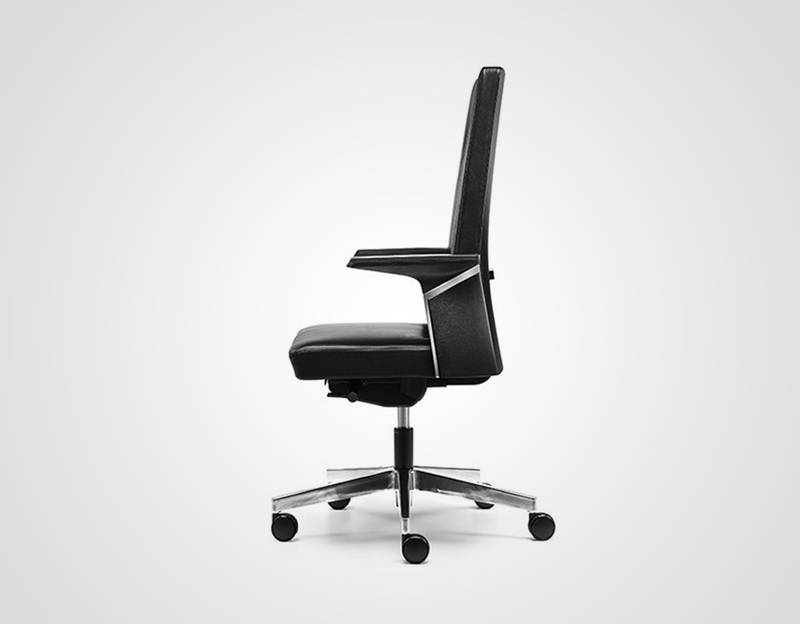 Research has led us to produce an executive chair that is thoroughbred and elegant despite complying with the rules. A clear silhouette and specific volume, while paying attention to the technical aspects. Technically, great attention has been paid to the inside part of the back, because it includes all the adjustments regarding the back, the head rest, the arm rests, etc. Although it looks simple, the KO1 is a complicated chair, and 34 different moulds have had to be produced by the best European injectors.